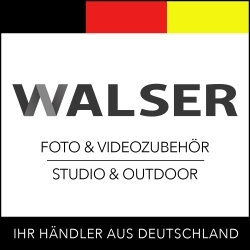 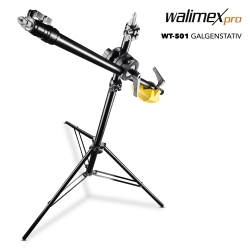 The walimex pro WT-501 Boom Stand is a low priced solution for setting highlights or generally for illumination from above. 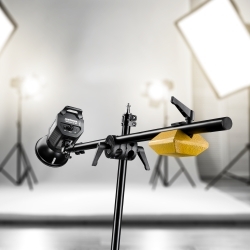 It adds another dimension to the margin of illumination of your studio flashguns. 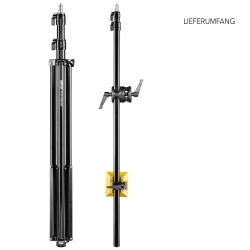 Flashguns can be extended in two sections on the boom arm up to a length of 210cm, and at the same time are kept in balance by a 4350g heavy counterweight. 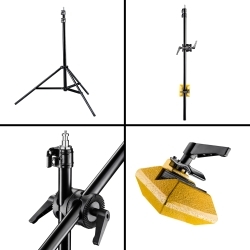 With the standard spigot connection 5/8 inch the studio stand is suitable for all common studio flashguns.